In case you haven’t been following it, Michelle @ factotum-of-arts is doing a Color Series this year, where every month is focused on a single family of colors and she and guest bloggers talk about using that color. This month, the color is GREEN, and I am lucky enough to be one of the guest bloggers! First I should come clean. I thought to myself “Green? 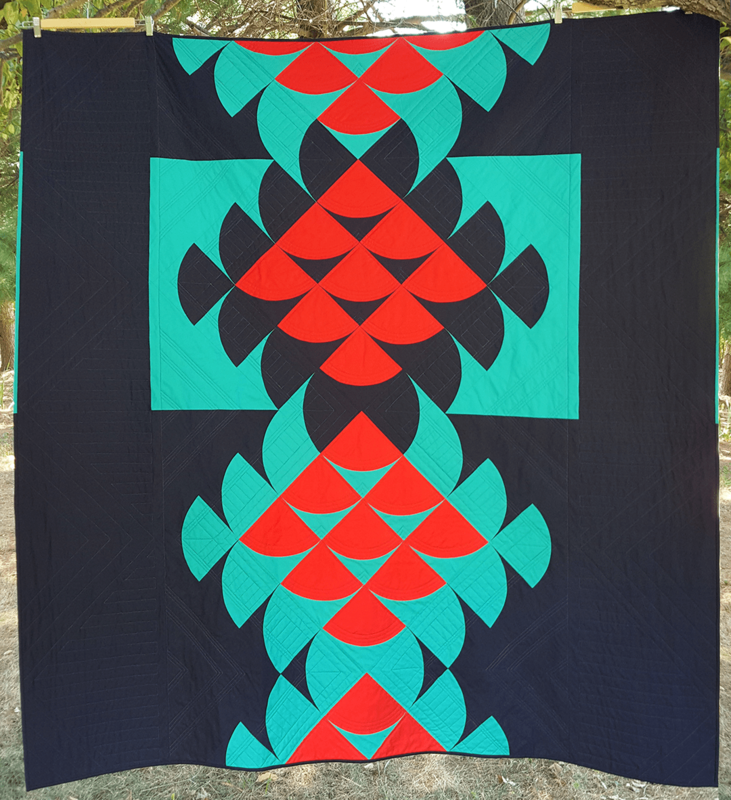 I NEVER use green!” And then I started going through my finishes and I use green in probably 75% of them, and the last quilt I finished was almost entirely made up of greens. So what’s the deal with that? Green is a wonderful support color. Not to say that green isn’t fantastic on its own, because it is, but green has a habit of taking on a support role when you start pairing it with other colors. I’m not sure if it’s because we’re used to seeing green grass and green trees and immediately putting them in the “background” category, but when green ends up in my projects, it rarely feels like the star. 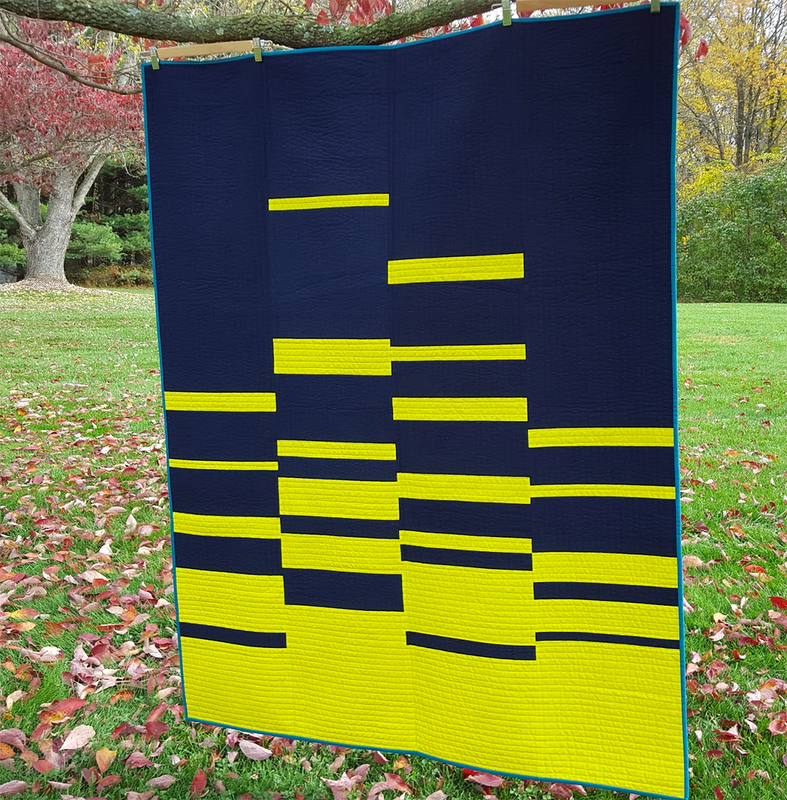 Even for the Highlight on Improv quilt, I think of the yellow as the star of the quilt, although that could be because the quilt was designed around the yellow color. Green sits on the boundary of warm and cool, and can therefore play either role. This means that pairing it with blues will add some warmth, while pairing it with yellow/orange/reds will add some coolness. 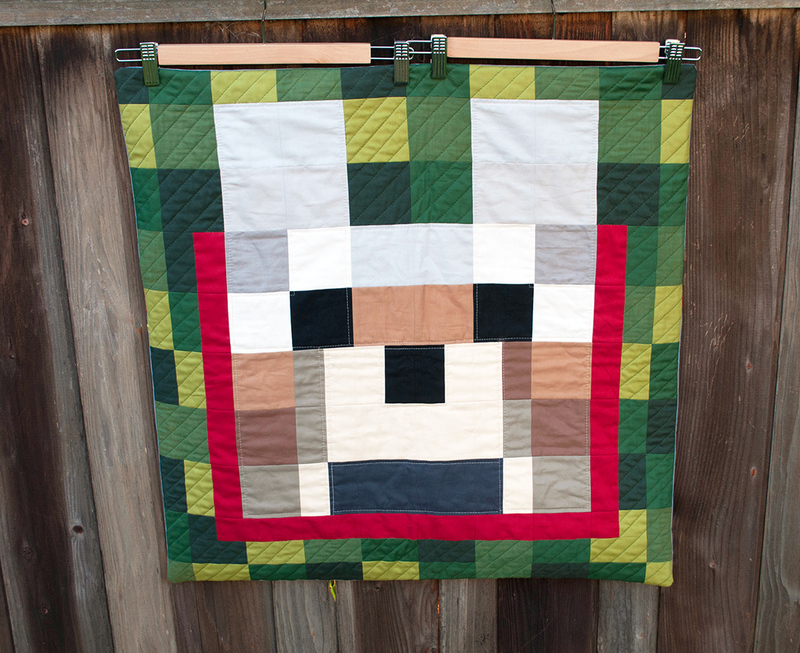 For the Churn Dash Dash quilt, we used the greens in the center because it added some depth and coolness without stealing the attention away from the warm colors around the outside. 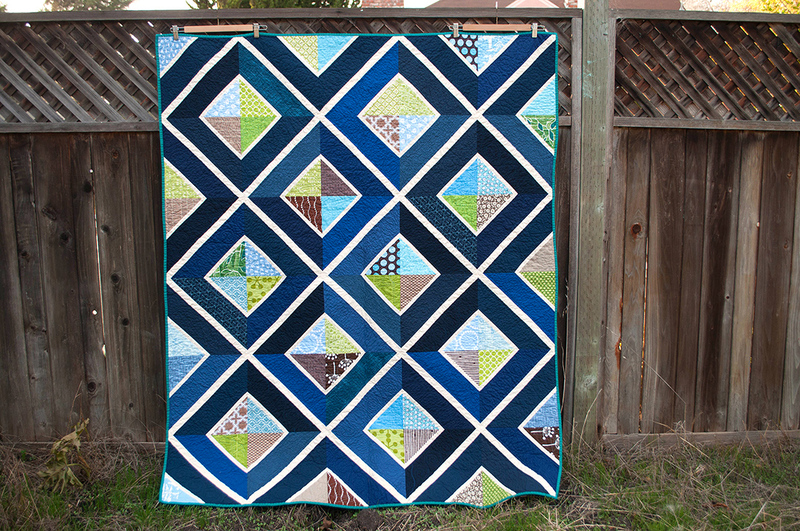 On the other hand, this Modified Urban Lattice quilt used green to add some warmth to the cool aqua and navy in the quilt. 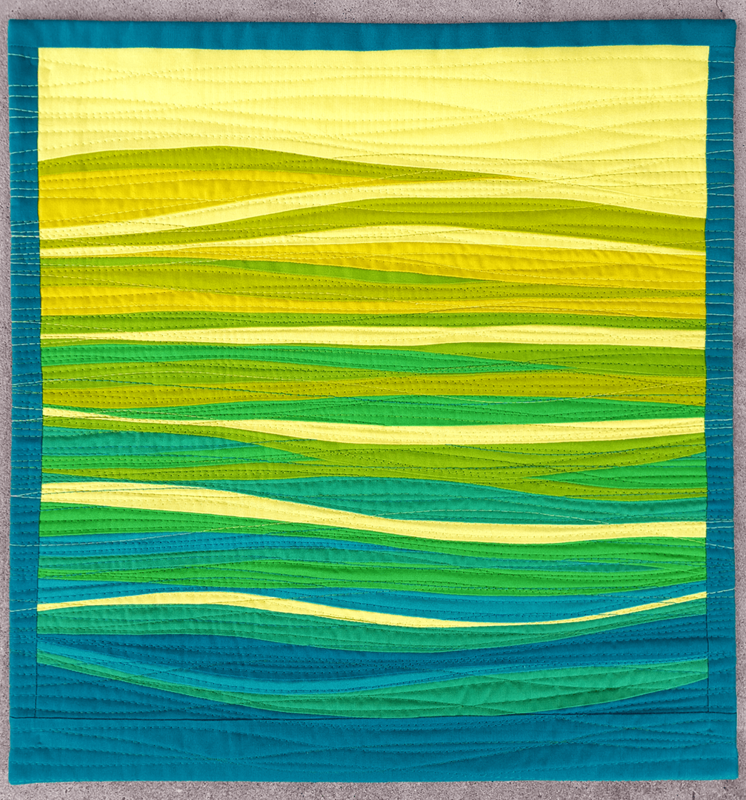 Similarly, the Dissertation Quilt again uses pops of green to add some warmth to all the blues used in the quilt. 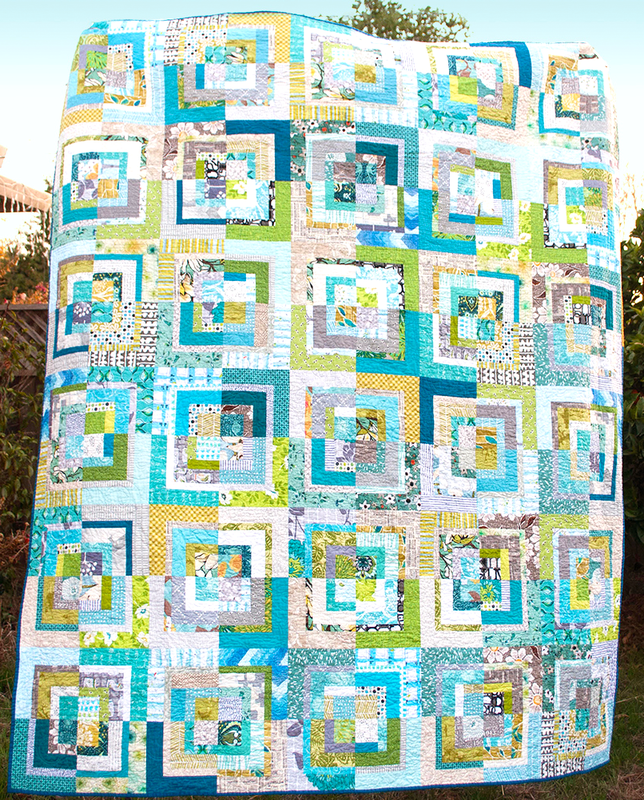 Interesting fact: this quilt is 33% green, 33% grey/white, 33% blue and I still would describe it as a blue quilt. Am I the only one who is green blind like this? Because green doesn’t take center stage, that means it works really well as a background color. 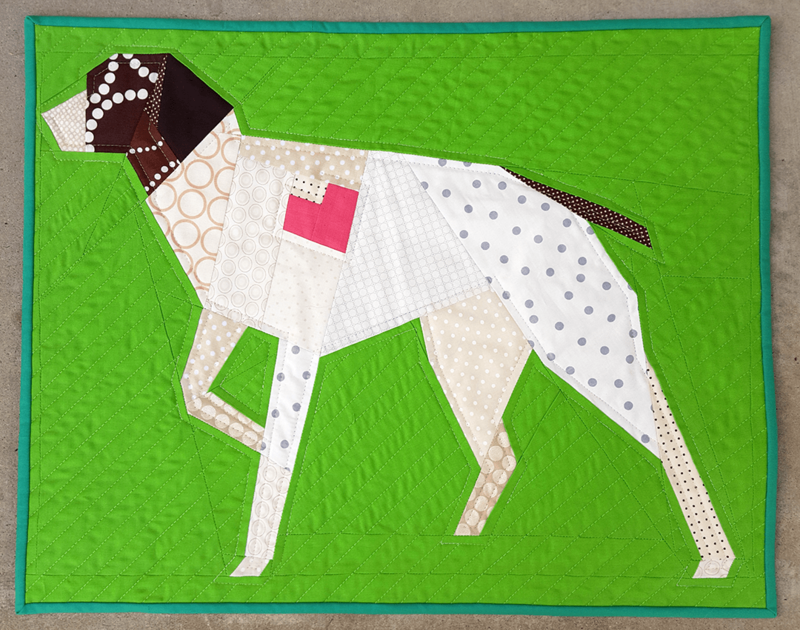 For Dottie, green adds some needed color, but doesn’t overwhelm the paper-piecing which is the focus of the quilt. To using it as the entirety of the background for the Princess and the Pea quilt. Mmm chartreuse. The complement of green is red, which means you can play with everything from red-violet to red-orange, and it’s going to work well with the various shades of green. Red is a really attention catching color, but pairing it with the green makes the red seem even more vibrant. In Phoenix, the jade green is there to help ground the overall design, add some coolness, and also make that red really go front and center. 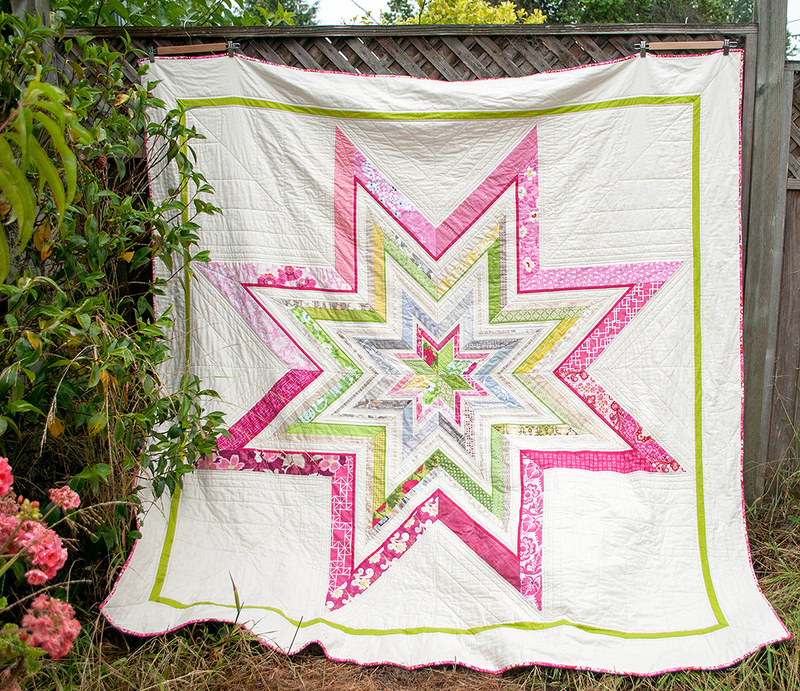 Similarly, the Jumbo-er Star quilt uses lime green to help really set off the fuchsia in this quilt. 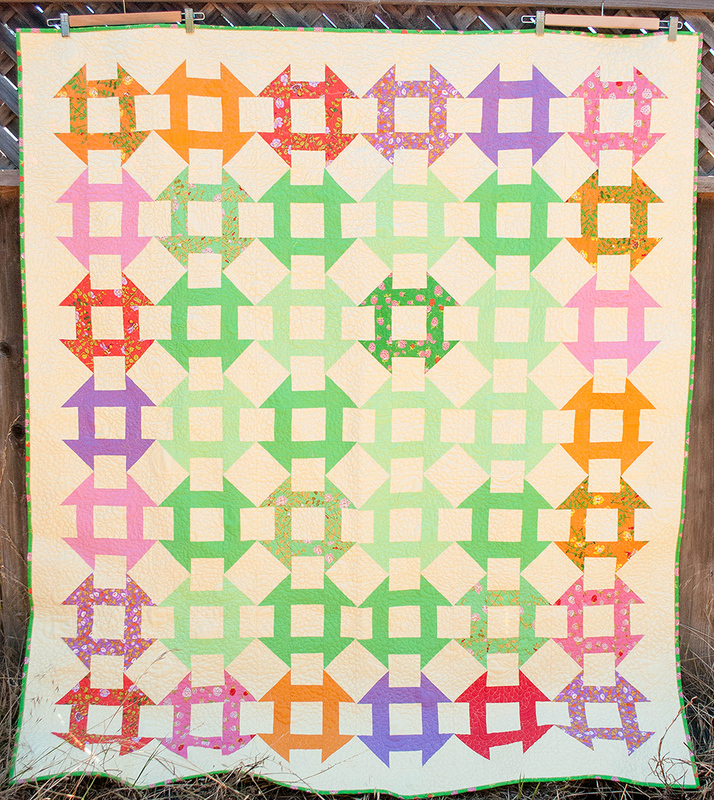 If the quilt only used neutrals, it would have felt a little flat to me, but by adding some green it adds color while giving the pink just a bit more punch. Sometimes it helps to think of green as a particularly colorful neutral. It goes well with most colors, and tends to naturally fall into a supportive role without overtaking the other colors. I personally like using warmer, creamier neutrals with green. Greys can look a bit too cool and sterile next to the warmth of green, whereas creams and taupes play particularly well. This could be because there is a nod towards the earthiness of browns while still staying light and bright. Paired with pink or red, green will add even more punch to the colors. If it feels like too much, try lightening the pink or going towards warmer pinks/reds (coral, peach) or cooler pinks/reds (red-violet) to reduce the contrast. For more information on the various colors, below is the schedule for Michelle’s Color Series. Now I’d love to hear from you, what’s your favorite way to use green in your projects? I am especially fascinated with Modified Urban Lattice being 33% green, blue, grays. I too would call it a blue quilt. I’m thinking it partly has to do with value and value contrasts. There seems more variety in the blue values and more high contrasts with white for them than green. A thoroughly enjoyable post. Thank you! You might be on to something with the higher contrast of blue to the white than the green to the white. 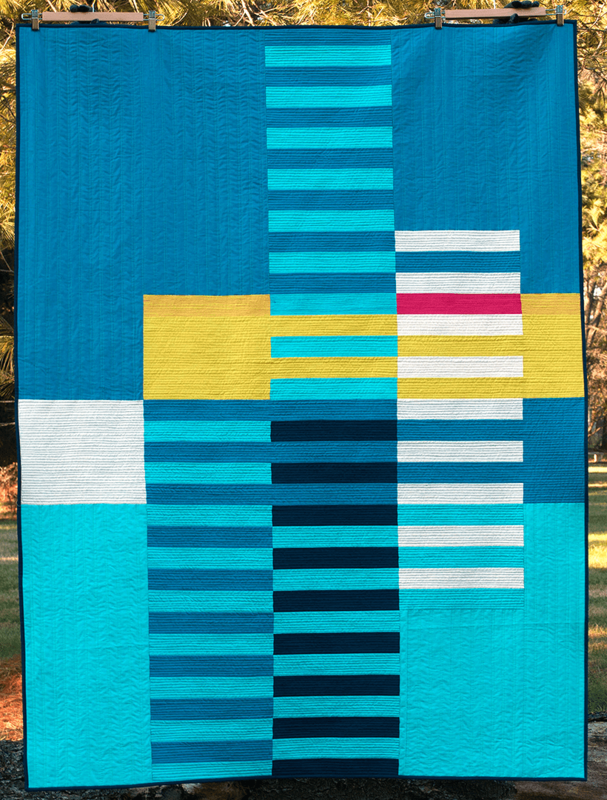 That quilt definitely reads as “a blue quilt” to me but it really isn’t! Even the yellow background churn dash I remembered as the “yellow and warm tones” quilt and forgot there was an entire section of green in the middle. I really like green as a color, I have no idea why I have such a weird blindness to it! 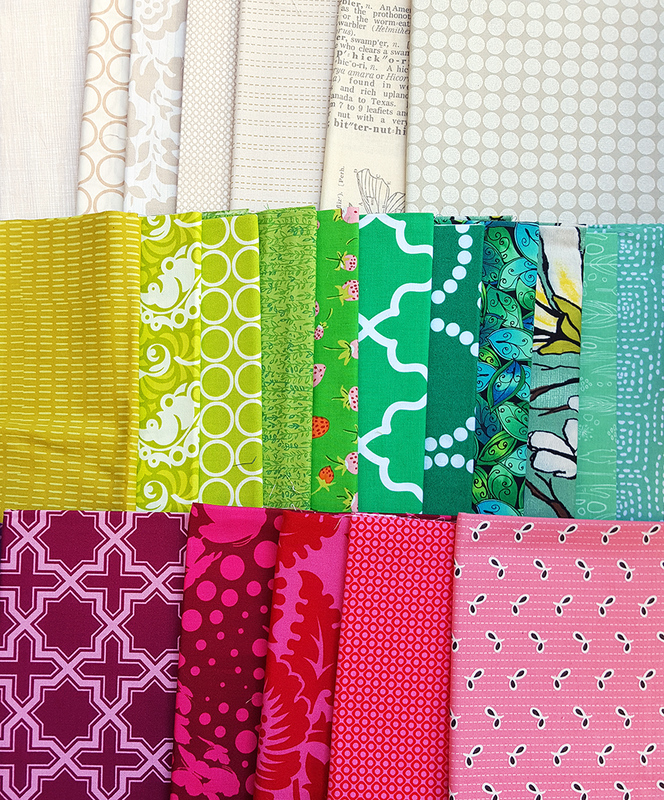 I hadn’t been quilting too many years when hot neon green made its appearance in the market. “No, no way that COLOR is going to be in any of my quilts.” Now it isn’t a quilt until it has a little spark of hot neon green in it somewhere. So, expand your horizons–colorful or otherwise. You will be amazed what you can accomplish. I think the hardest green to work with is kelly green. I have two of the prints you have in your photos above and you wouldn’t believe the times I’ve pulled them only to put them back on the shelf because they just didn’t work. 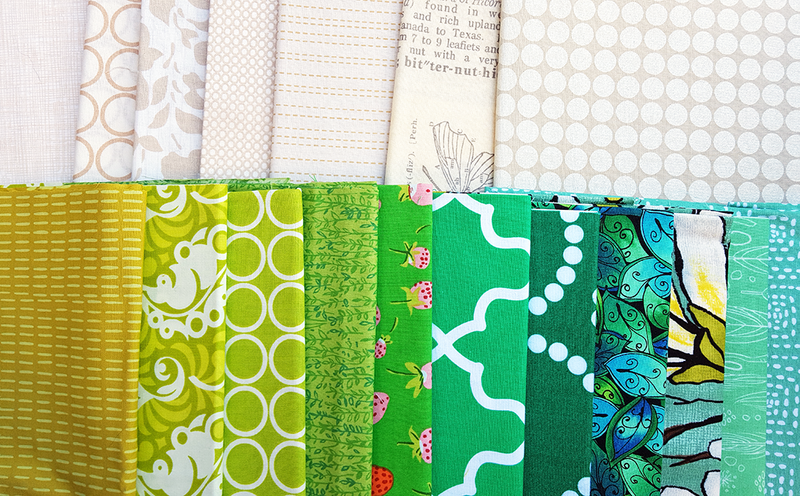 It does seem that quilters tend to go towards mint or lime, and the true greens don’t get used very often. My advice for the kelly greens is pair it with royal blue and some navy. 🙂 I find that tends to be a really pretty mixture! I love your description of being green blind. Yes, for that quilt, I would call it a blue quilt. But I love blue with all the emoticons… so there’s that. I haven’t delved too much into the Wasabi / Pickly / Chartreuse range of green (I don’t think, LOL) but think it is a warm version of the color to use. 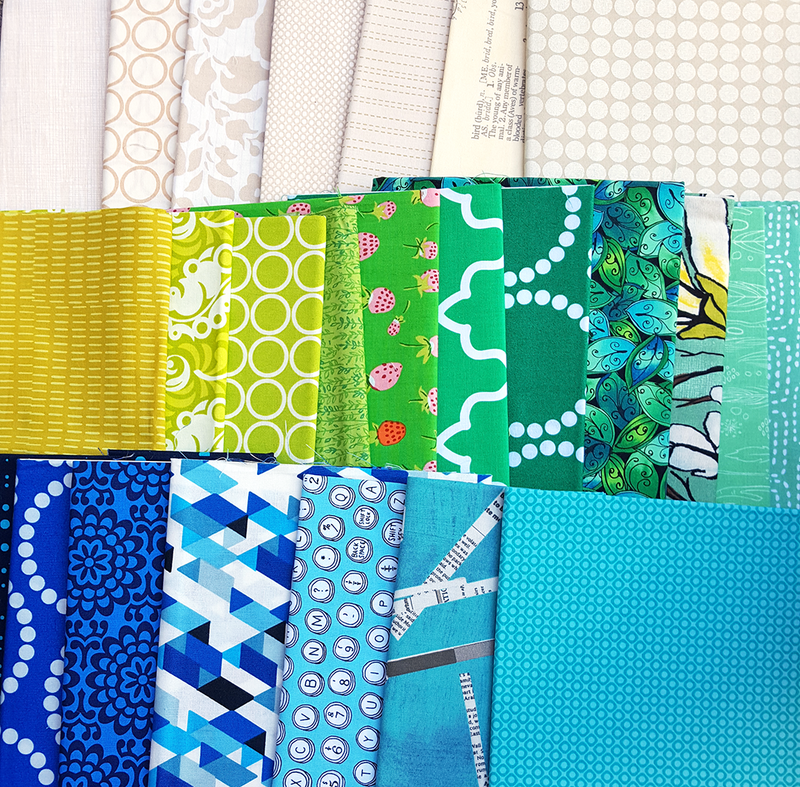 I definitely lean heavily on the teals and will buy any “true” green fabric I happen upon as I feel they are rare. 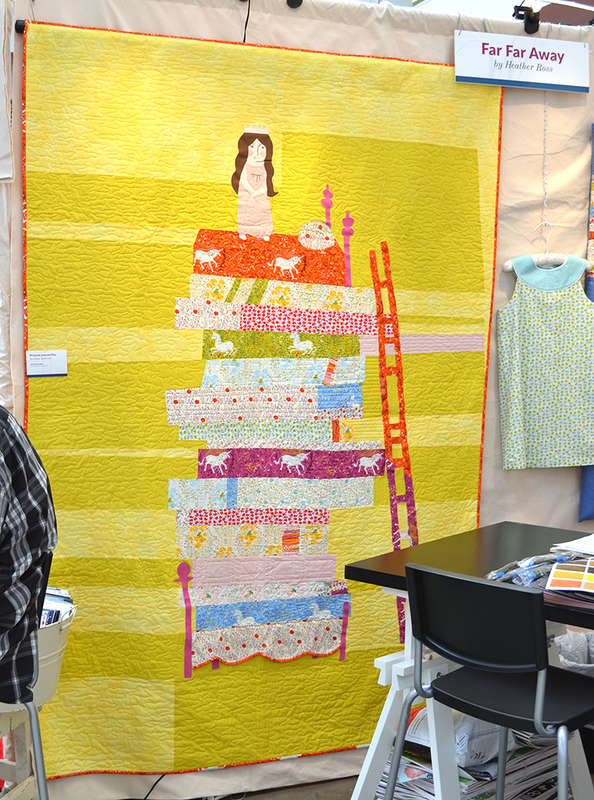 I was too embarrassed to admit it in the original post, but my memory of the yellow background churndash is “the yellow quilt with the reds and purples”. The ENTIRE MIDDLE SECTION IS GREEN. SO green blind. The fabric pull with the greens creams and violets & ponks just makes me smile! I’ve used many greens in my quilts. I think it is a very comfortable companion to so many colors. I like the idea that it warms up the cools and cools down the warm colors. Maybe that is why it’s stuck in the middle of the rainbow. I would go with wasabi, pickle, chartreuse any day of the week!! Which means I like yellow-green, which means I like yellow?! It’s funny how when we look through our finishes the colors that stand out. In my opinion, any thing and color you make is perfect! And thank you so much for your kind comment!! <3 Mutual admiration society!! 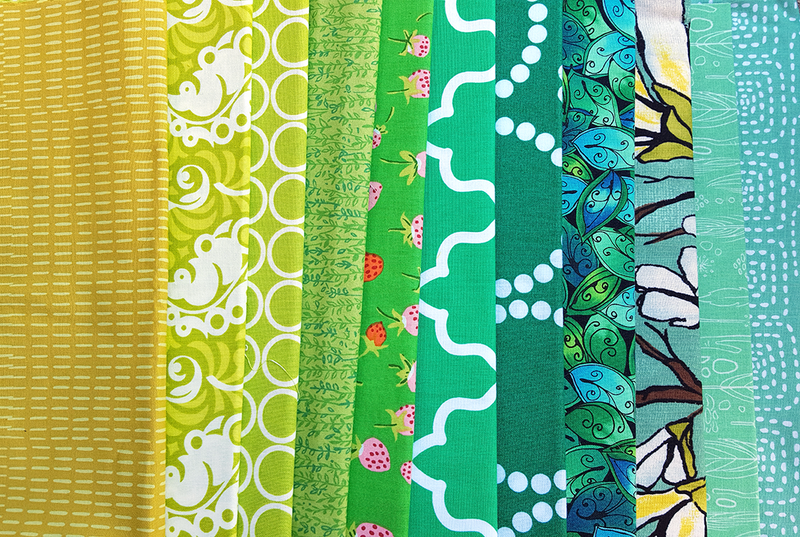 I had a run there where it seemed like lime green was popping up in every quilt I made. And then an instructor doing a colour theory class said that it was her go to to lift up a quilt design and give it a little pop. Who knew! I love green . . . various greens make up a large part of my stash. It’s also found throughout my home. I find it a wonderful neutral that plays well with the decor changes I make during the year. It goes with everything and always feels fresh. I enjoyed reading through your color analysis. Spot on.